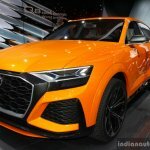 The Audi Q8 and 2018 Audi A8 have been spotted testing together in India. While the A8 was unveiled globally earlier this year, the production-spec Q8 is still under wraps. Both models are expected to arrive in India in 2018-19. Audi is known to use India for their global testing program due the varying geographical and climatic conditions offered by our country. Both these products have been spotted testing in the past and, in the A8's case, without camouflage. The Q8 is Audi’s rival to the BMW X6 and the Mercedes GLE Coupe. The SUV-coupe's proportions and design will be quite similar to its concept form, which for reference, is 5.02 metres long, 2.04 metres wide and 1.70 metres tall. 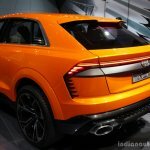 Like the Audi Q7, the Audi Q8 will ride on the MLB-Evo platform. 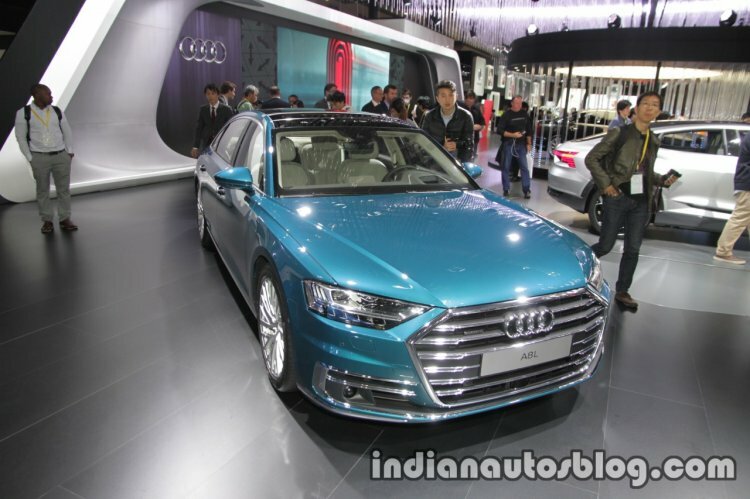 According to a report from July, the new Audi A8 launch in India will take place in 2018. As is the case with all products in that segment, we will get the long-wheelbase Audi A8L. The new A8's party trick is the Audi AI with Level 3 Autonomous capability. A notable automated driving feature is the Audi AI traffic jam pilot. This system takes charge of the car in slow-moving traffic at up to 60 km/h on freeways with a physical barrier separating the two carriageways. The car takes care of starting, accelerating, steering and braking enabling the driver to take his/her hands off the steering wheel completely. However, this feature may not be available on the Indian specification. 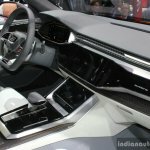 The 2018 Audi A8 L is due in India next year. 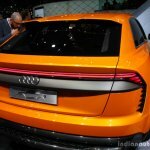 It won't be making an appearance at the Auto Expo in February since Audi is skipping the event. 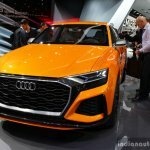 However, multiple media reports indicate these most of these driving aids including Audi AI will not be available in the Indian market.